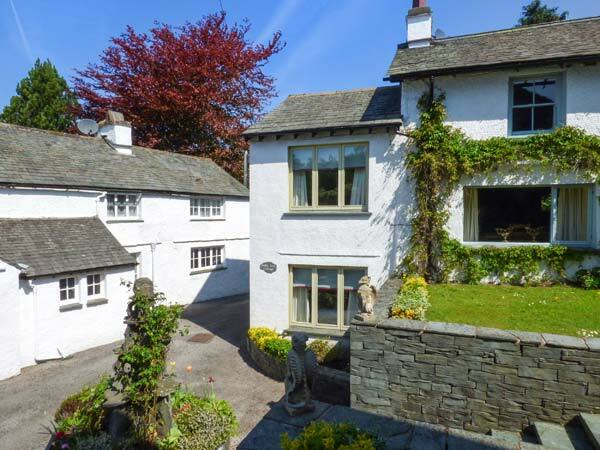 Gable End is a semi-detached cottage situated close to the village of Coniston just four miles from Hawkshead in the Lake District National Park. The cottage can sleep two people in one super king-size bedroom as well as a family bathroom with Jacuzzi. Also in the cottage is a kitchen with breakfast bar and a first floor sitting room with woodburner and dining area. Outside is off road parking for one car and a private lawned garden with furniture. 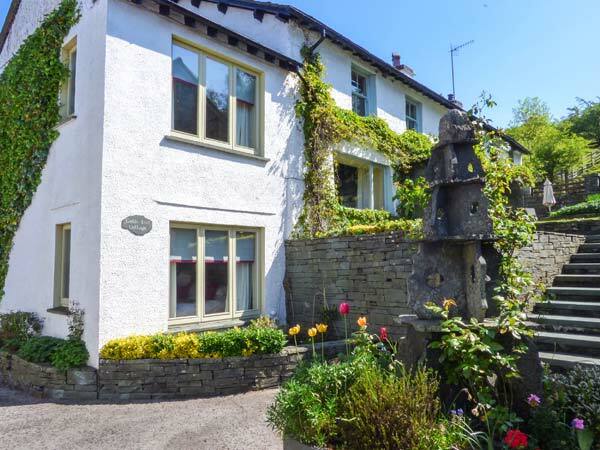 Gable End is a delightful cottage from which to explore this fabulous part of the world. Mostly ground floor. One super king-size double bedroom. Bathroom with Jacuzzi bath, shower over, basin and WC. Kitchen with breakfast bar. First floor sitting room with dining area and woodburner. Electric storage heaters with woodburner. Electric oven and hob, microwave, fridge, freezer, washer/dryer, dishwasher, TV with FreeSat, WiFi. Fuel, power and starter pack for woodburner inc. in rent. Bed linen, towels and bathrobes inc. in rent. Travel cot and highchair on request. Off road parking for 1 car. Private lawned garden with furniture. Sorry, no pets and no smoking. Shop and pub 1.5 miles. Note: WiFi has limited band width. Note: Suitable for babes-in-arms only. Note: Check-in 4pm.